Idefix is a beautiful yacht that has been maintained and operated to extremely high standards by her experienced owners. She has an expansive sun deck with jacuzzi, large sunbathing pads and sun loungers. 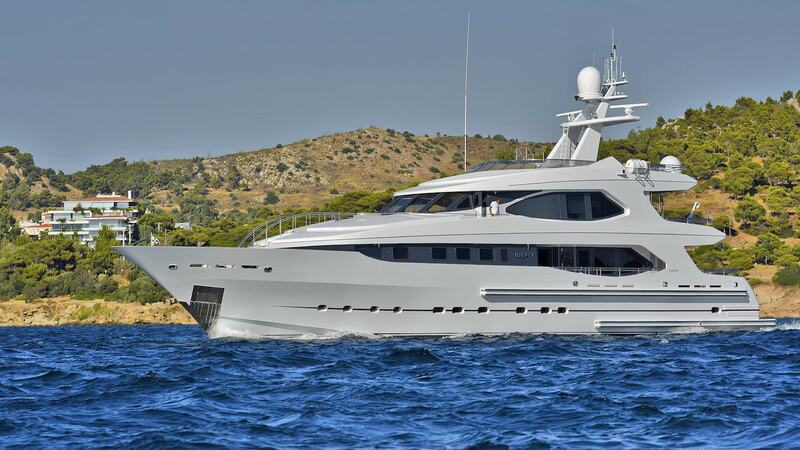 She offers a high volume interior and comfortably accommodates twelve guests in six cabins. Her master suite has the volume of an equivalent 50m yacht. Idefix has a spacious al fresco dining area by the sky lounge and also features a more formal dining area on the main deck. She is extremely comfortable both underway and at anchor and is looking sparkling since she was completely repainted in 2015. More on Luxury Yachts for Rent here!